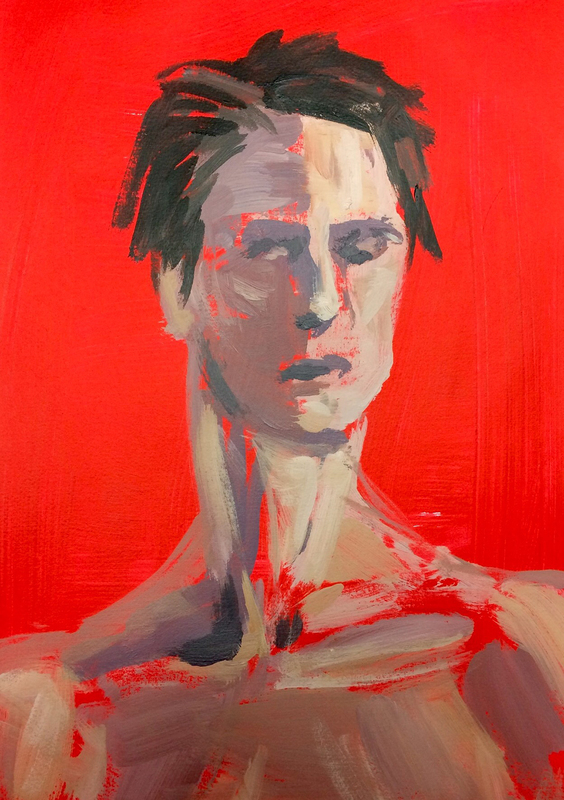 Jess Miller is an artist inspired by the human figure, body language and identity. 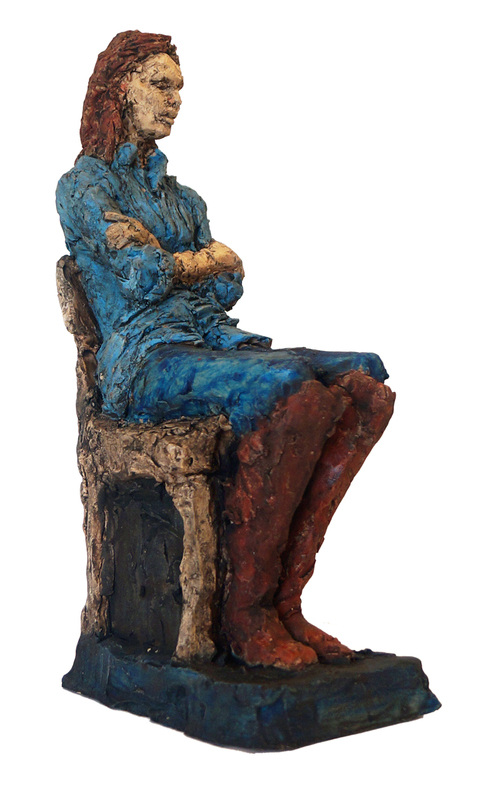 Her favoured medium is clay, which she models in front of the subject. The immediacy of her responses to what she sees is borne out of the tactility of the medium. The flesh of her hands shape the flesh of the model on a plinth, giving form to the experience of seeing. 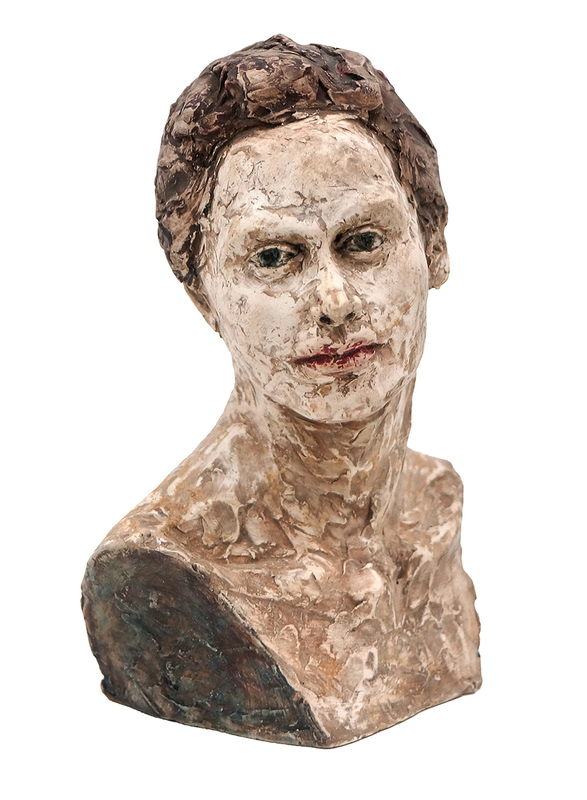 Once her modelling is complete she often adds colour using oil paint, rubbing and sanding the surface to patinate it. The resulting works can only have been made with this process; sensual and contemplative meditations on the figure and their identities. Lisa: Hi Jess! Can you tell us who you are and how you came to be an artist? Lisa: Is everything you make from life or do you ever work from photos or preparatory drawings? Jess: I very rarely work directly from photos because I find the camera makes too many decisions on my behalf and often subtly distorts objects. 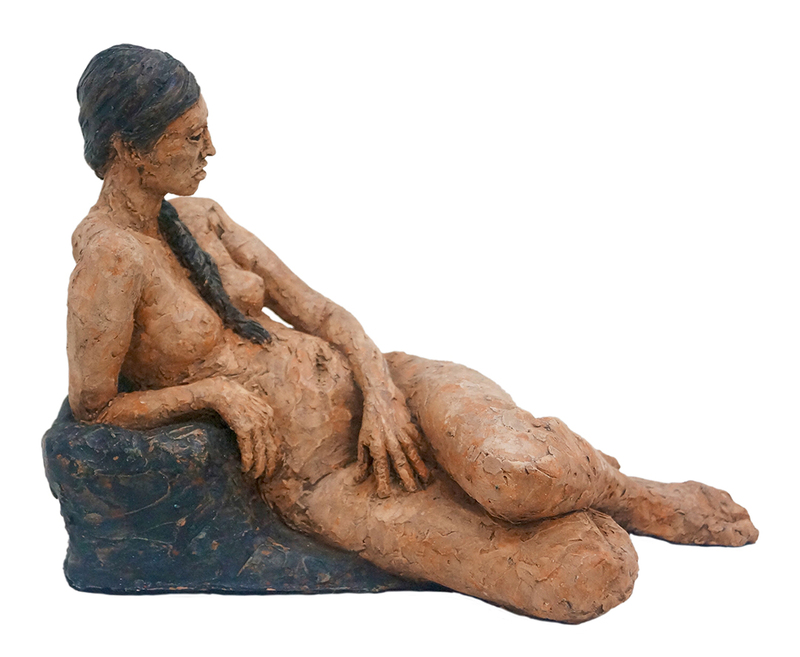 Sometimes I will develop work further from observational or imagined sketches but most of my pictures and sculptures are created directly from life. 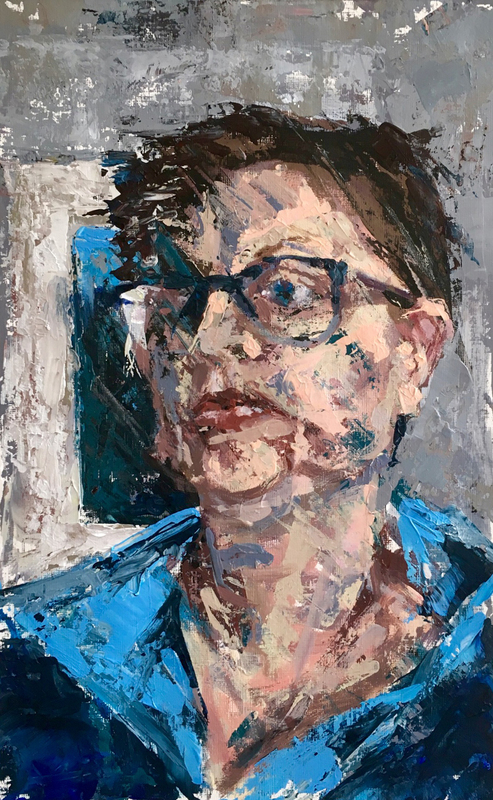 For me, figure and portrait work is about trying to capture the “life energy” of the model – or at least my response to the sitter. They need to be present for that – I can get a decent likeness using a photograph but the finished result usually looks a bit “dead”. Therefore making work over a series of sessions with a model present is a luxury but so much more satisfying and successful! Lisa: I’m particularly taken by your painted sculptures. Are they made of painted clay or are they casts? What is the process behind these sculptures? Jess: Thank you. I really enjoy messing around and experiment with patination. 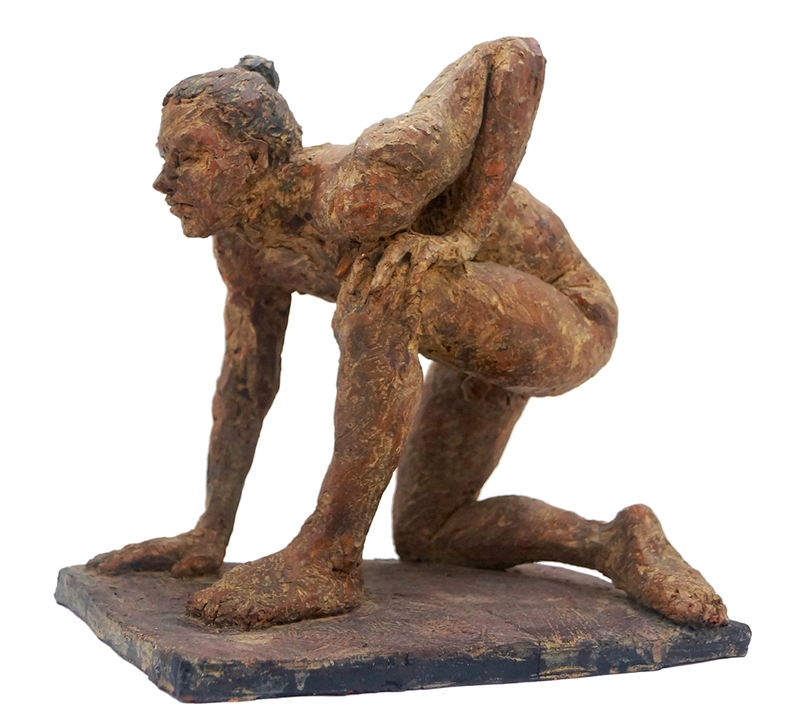 The sculptures are original pieces made of fired clay and coloured with oil paints mixed either with a soft beeswax polish or diluted in white spirit. Sometimes I give them a base coat of varnish mixed with metallic powders. I build up layers of semi-transparent colours, often rubbing them mostly away between coats. Sometimes I will sand areas right back to the fired clay. Lisa: What do you like most about working with clay? Jess: Everything! I really enjoy the feel of wet clay in my hands. 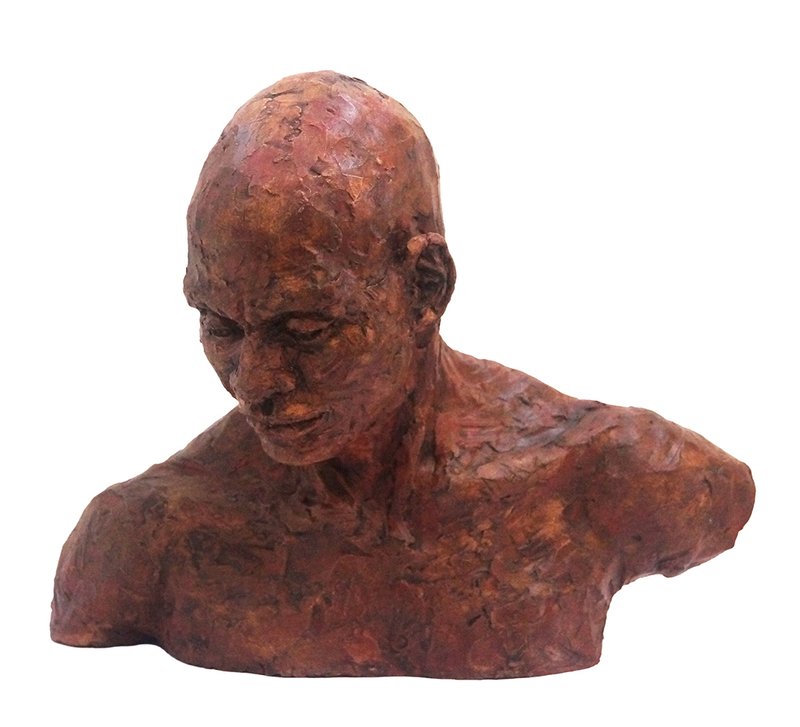 It is a very immediate and forgiving sculpting medium which can be manipulated directly with my fingers as well as with tools. It is quick for sketching and easily allows me to change my mind as I go along. A piece made in clay easily records every detail of the marks made in it – every fingerprint. Because of this it gives my finished work a very personal feel to the forms and keeps the surface expressive and fresh. 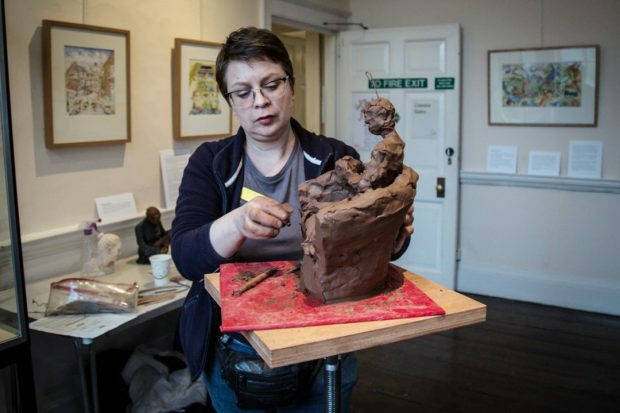 I occasionally work in other soft materials such as wax or chavant (and then cast in to resin, plaster or bronze) but clay is my favourite modelling medium. Lisa: How often do you draw, and how would you describe the importance of drawing from observation for your own practice? Jess: I try to draw every day if I can but don’t always manage it. 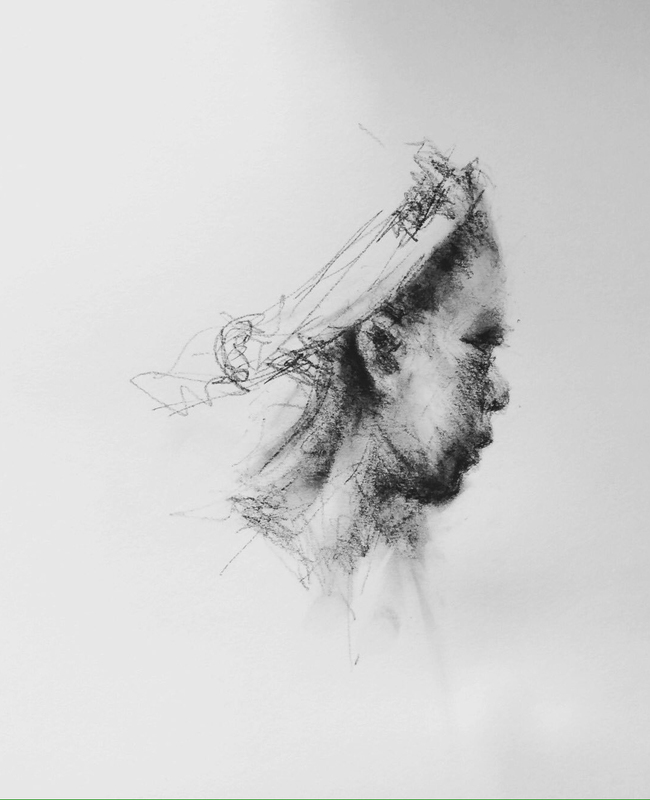 Drawing from observation is central to my art practice because it forces me to keep looking even after I think I ‘understand’ what is in front of me. I enjoy the process of mark-making as a response to what I am seeing. I also find sketching in museums and galleries really useful for research. It forces me to look at a piece in more depth than just taking a photo – although I do that too. Lisa: What qualities do the most inspiring models possess? Jess: Patience, tolerance, a willingness to collaborate in an artist’s vision, body-confidence, a high pain threshold and the ability to maintain a difficult pose. Lisa: What conditions would you say you absolutely need for a successful art session? 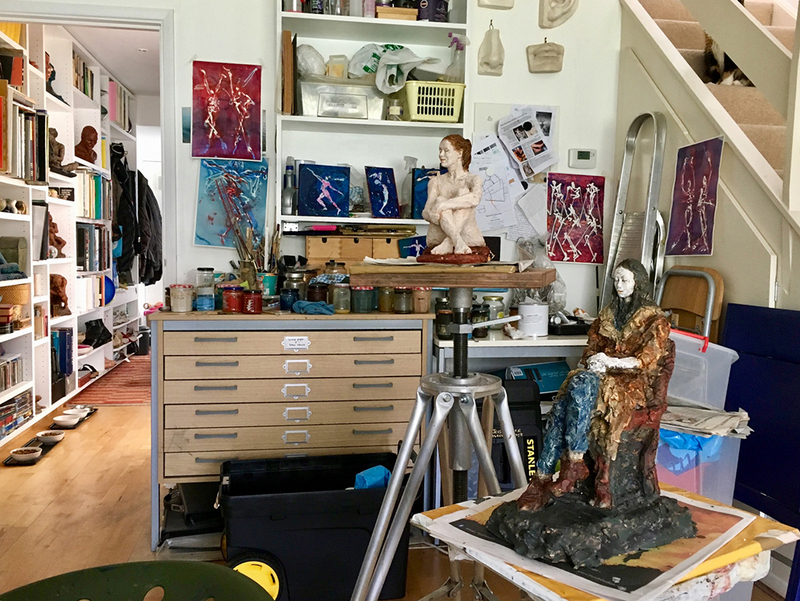 Jess: In the middle of my studio are a couple of fired pieces being patinated in preparation for an exhibition in October. The walls are covered in sketches from a current project where I am trying to capture and describe a sense of movement. 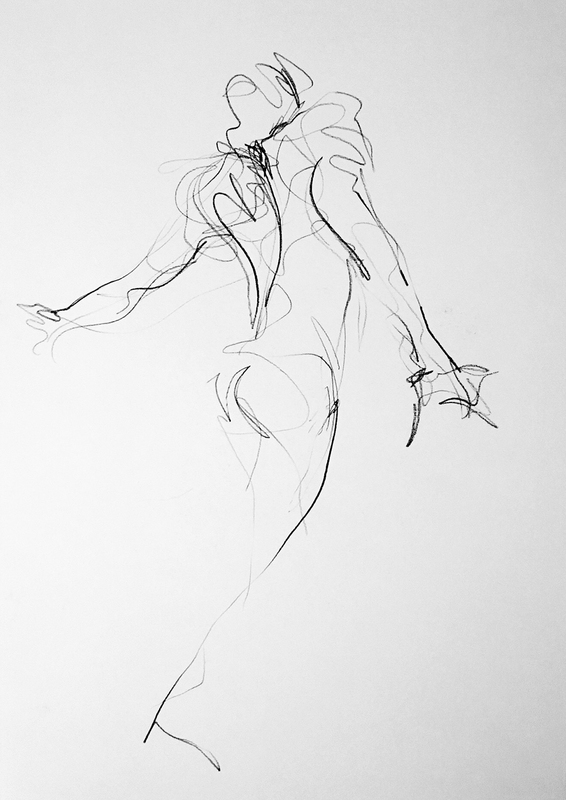 I started by drawing at a few dance rehearsals and am trying to develop these sketchbook scribbles further. Lisa: Where can we see more of your work – online and in the flesh? I exhibit annually in May as part of the Crouch End Open Studios Art Trail and October with the London Painters and Sculptors Group. Our next exhibition will be 2-7 October at the Camden Image Gallery in London. Header image: ‘Jess Miller demonstrating at Bruce Castle museum as part of an event organised by Collective Exchange, February 2017.